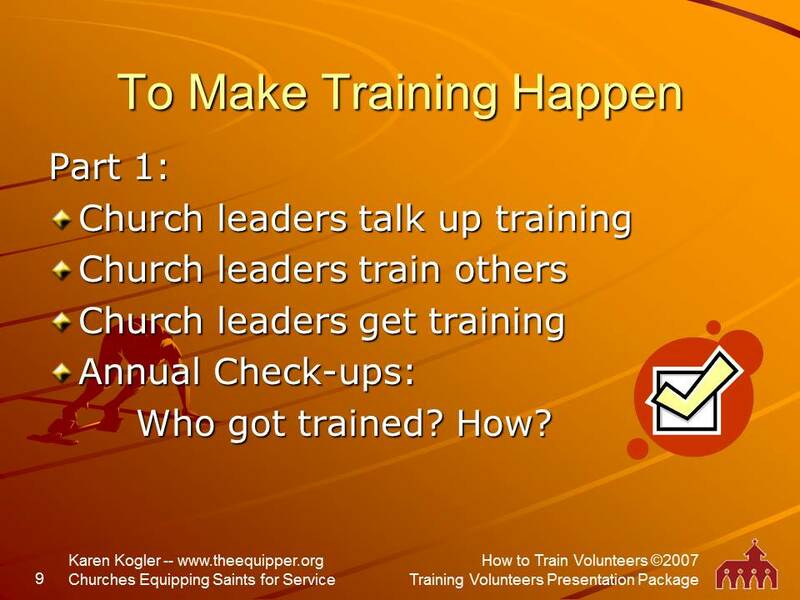 Here are some sample slides from the presentations in the Toolkits available in The Equipper store. 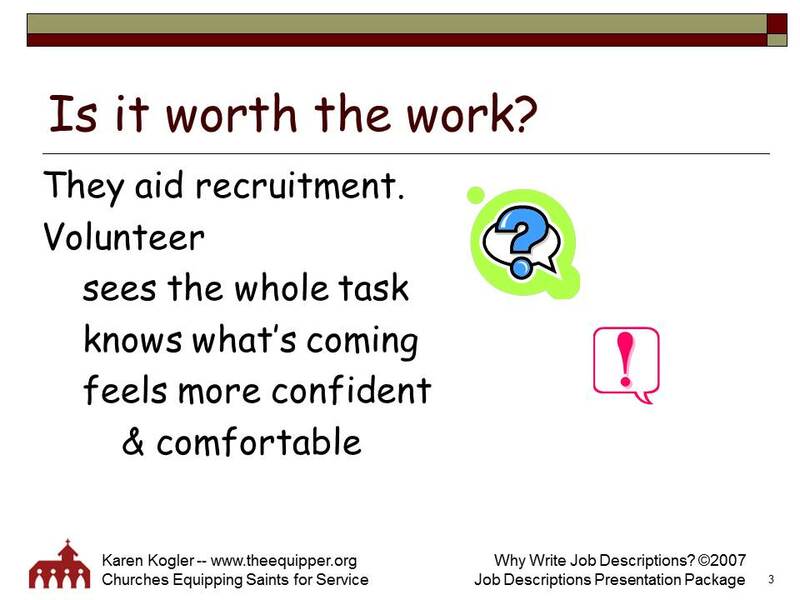 The toolkit contains two presentations, with supporting materials. Both toolkits together are $12.00. 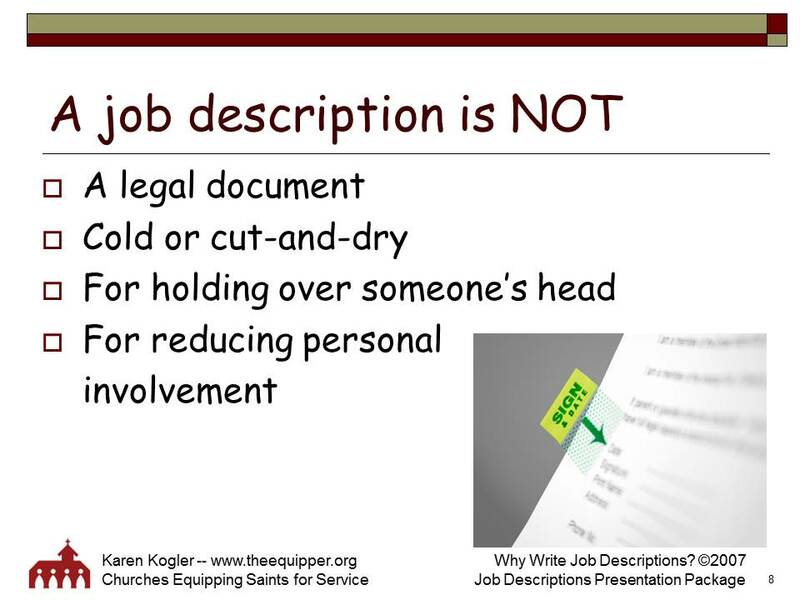 From the “Why Write Job Descriptions?” presentation in the Job Description toolkit. 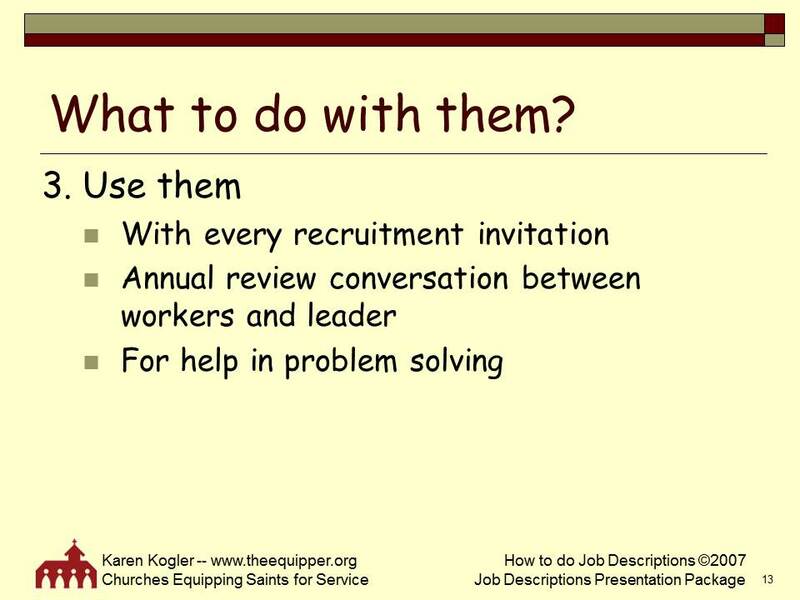 Buy this toolkit. 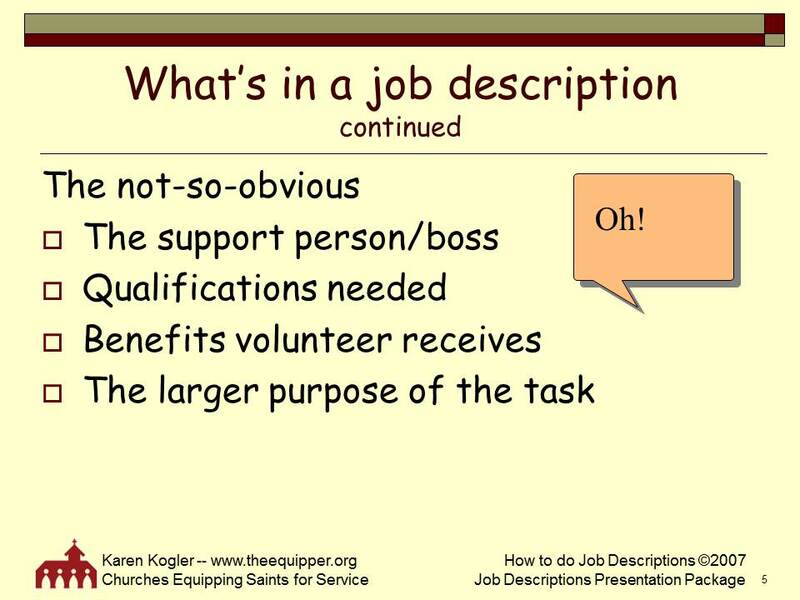 From the “How to Do Job Descriptions” presentation in the Job Description toolkit. Buy this toolkit. 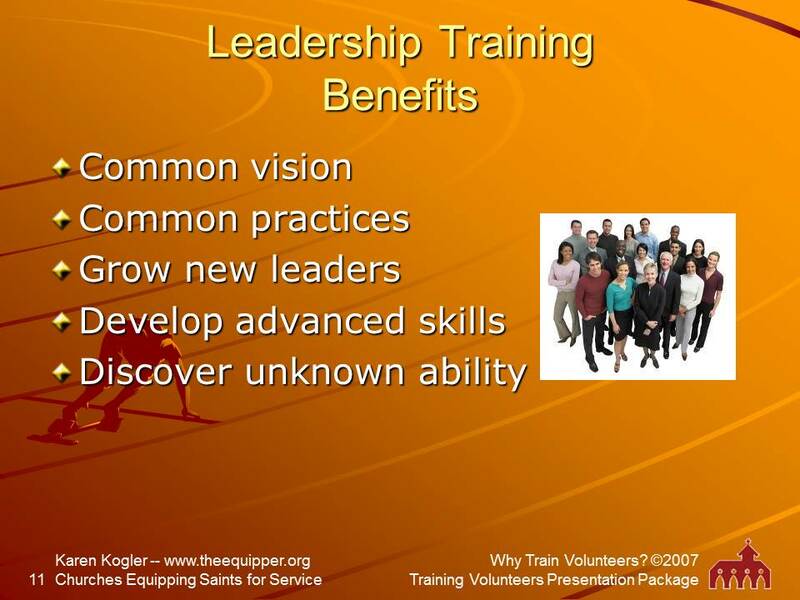 From the “Why Train Volunteers?” presentation in the Training Volunteers toolkit. Buy this toolkit. 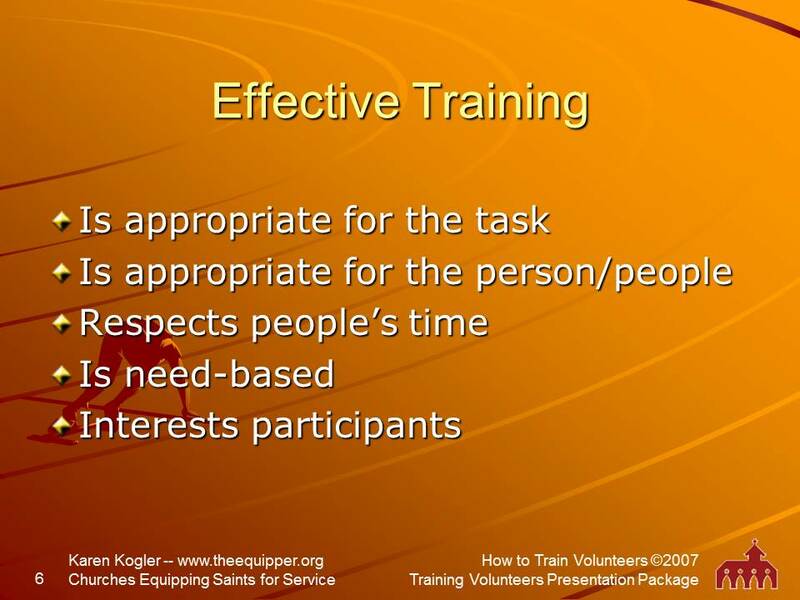 From the “How to Train Volunteers” presentation in the Training Volunteers toolkit. Buy this toolkit.